World's Most Expensive Engineering Projects. April 13, 2009 / 1 Comment on World's Most Expensive Engineering Projects. Here is a list of the world’s most expensive engineering projects with estimated costs and short descriptions of each project (sources: iCivilEngineer, China Daily, Wikipedia). Some of the projects are already completed, some are under construction, so the cost estimates are not definitive. 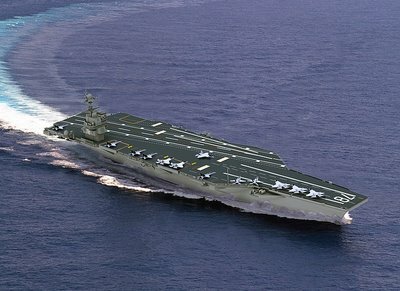 The Gerald R. Ford-class aircraft carriers (CVN-78) will be the next generation supercarrier for the United States Navy. Construction began in the spring of 2007, and is planned to finish in 2015. With the addition of the most modern equipment and automation they will reduce the crew requirement and the total cost of future aircraft carriers.